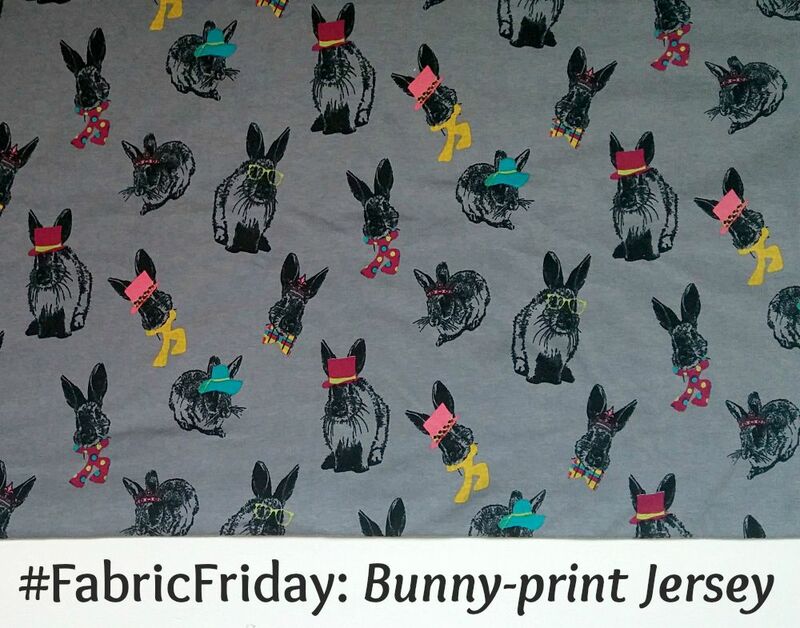 Happy #FabricFriday friends...even if Friday is almost over! It's seemed like a long week this end, but I've got a couple of days off after the weekend and I'm very much looking forward to catching up with some sewing. In fact today's #FabricFriday also happens to double up as a WIP I'm hoping to make good progress with. 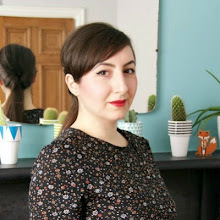 An embarrassingly long time ago I was approached by My Fabrics and asked if I'd like to pick a fabric in exchange for a review. Predictably, I went for this adorably fun, bunny-print jersey! Annoyingly, life and other commitments kept getting in the way, but better late than never I guess. 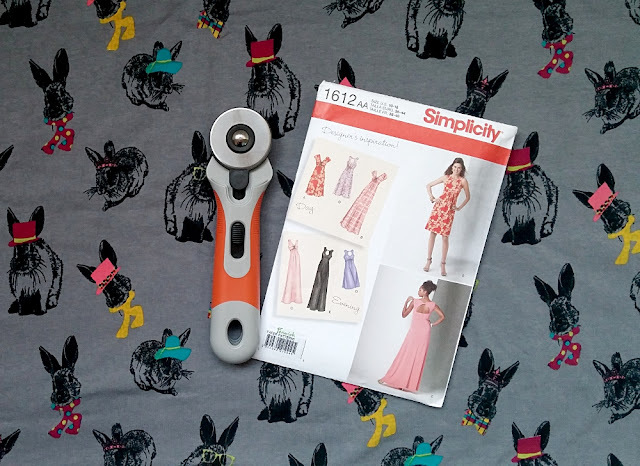 After much procrastination, I settled on trying out Simplicity 1612, which I cut out last week using my brand new (and first ever) rotary cutter courtesy of Plush Addict. The process was an absolute joy and revelation, everything you all raved about here and more! Anyway, what are you working on this weekend? 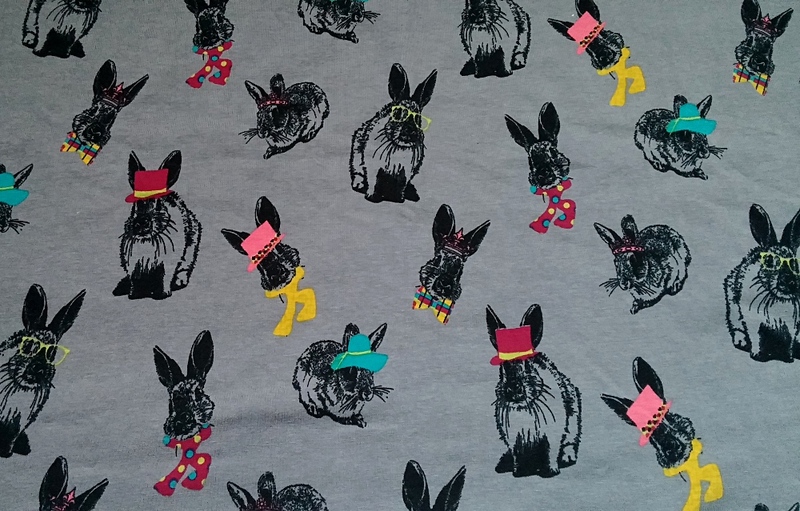 I'm so pleased to see that someone else purchases animal fabric and then unlike me actually turns it in to cool grown up clothes! I am a sucker for the cute fabric and then never know what to do with it! If anyone has any ideas for a white cotton with black scottish terriers on it then do let me know! Happy sewing! 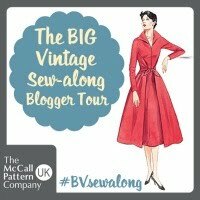 @ByHandLondon's Polly top for me tomorrow! 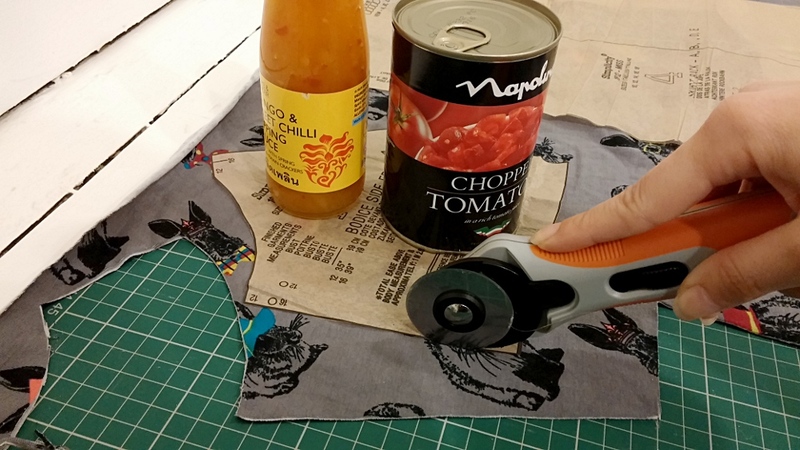 I say embrace cute fabric prints and just make what you normally would :o) Hope your BHL Polly Top went well! Fiona- I got sick of a warp bubble on the edge of my map that I'd been living with toooo long. I had a silicone pressing sheet and used it with an iron on low, ironed for a minute or too. Still warped but warm, I put a book on it and walked away. Came back to a like new mat. 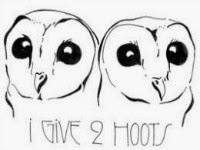 Might be worth a try for you! Just be ready to weigh it down evenly, if it's a big warp you might need a plank or something to toss on there. Marie- those bunnies are CUTE! Oh wow, sounds like a good trick Barbara! Love the fabric, can't wait to see the dress! 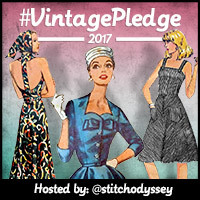 Just wanted to let you know about my vintage make for the vintage pledge, my 1969 dress. 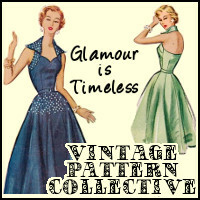 Pics and details are on my blog sewlindylou.blogspot.co.uk.